Bordering the Black Sea there is one thing Bulgaria is very well-known for: the sunniest beaches in the whole of Eastern Europe. When it comes to the best beaches in Bulgaria the city of Varna is one of Eastern Europe’s most popular spots for a beach holiday. Situated on the Northern coast of the Black Sea Varna not only has adorable beaches, but also a charming old town as well as tons of other options for daytime and nighttime activity. Surprisingly for one of Eastern Europe’s most sought-after summer destinations Varna is not the easiest place to get to. During the peak summer months it may even be difficult to get a reasonably priced flight to Varna. If you are willing to give up comfort for cheaper prices then low-cost carrier Wizzair is your best and also your only option. Until today Varna is not served by low-cost airlines other than Wizzair. Wizzair only flies to Varna from one Western European airport, namely London-Luton. On top of that, this route is quite pricey with roundtrip flights that cost almost 190€. For some unknown reason all flights to Varna from Southern and Nothern European cities are much more expensive. Flights from any city in Scandinavia, for instance, start at no less than 440€ (roundtrip; prices from Skyscanner.com). Check a flight compsring website like Skyscanner to get slightly cheaper offers than by booking through the websites of the airlines. An alternative to a direct flight to Varna is getting there through Bulgaria’s capital Sofia. Going to Varna by road from Sofia will take 6-7 hours as the motorway has still not been fully completed resulting in a ‘B’ road detour having to be taken part of the way. Going to Varna by train will take you the same amount of time. When you decide to take the detour over Sofia then there are many bus lines serving the route Sofia-Varna on a daily basis. BioMet Ltd is going to Varna every two hours on every any day of the week with the last bus leaving at midnight. A roundtrip ticket is about 27€ while a single ticket costs half. If your Bulgarian is good enough then you can book a bus ticket with BioMet through busticket.bg as their website is not available in English. Luckily, you can also buy tickets at BioMet’s ticket offices located at the Central Bus stations of Sofia and Varna. They are all open up until midnight. 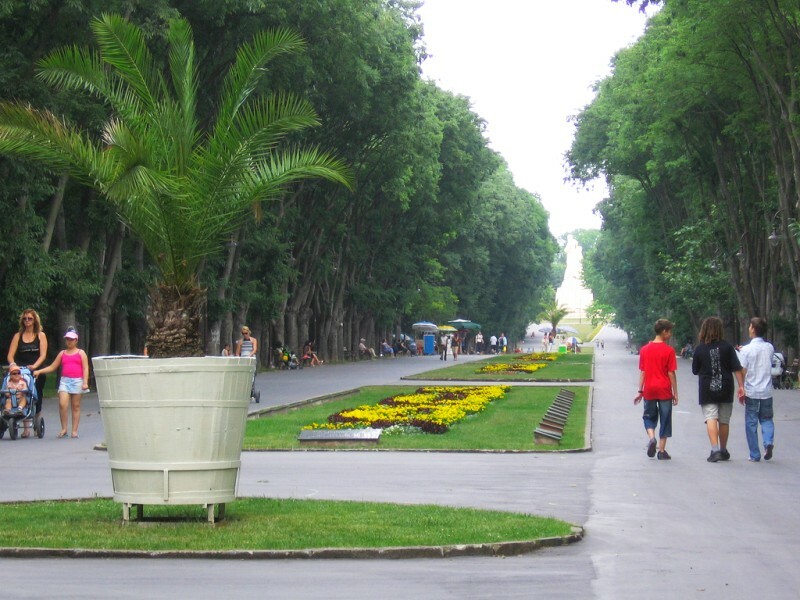 The main thing to remember about Varna is that it is a summer place, it comes alive during June/July/August. It is possible to make a visit in spring or autumn and find things to do, but not for the beach. If you want hot weather and beach sunbathing then these 3 months are the time to come. 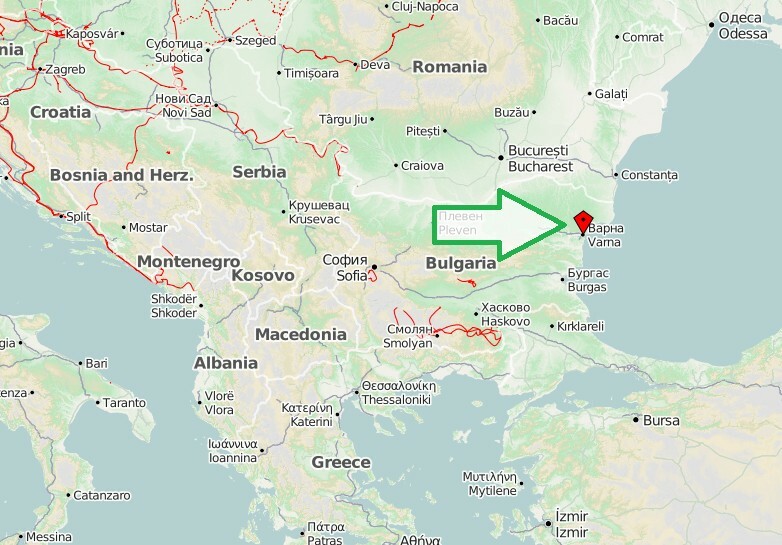 With a population of roughly 350,000 Varna is about the same size as Florence, Italy. But unlike Italy’s cultural capital Varna is blessed with some of the nicest beaches in the whole of Eastern Europe. Already in Soviet times Varna has been a prime vacation spot for Eastern Europeans facing only Burgas (Bulgaria) or the beaches around Odessa (now de facto: Russia) as serious competition. Even though Varna has undergone and in some places still is undergoing a huge facelift and renovation you can still get a good sense of the Soviet era if you look in the rght places. 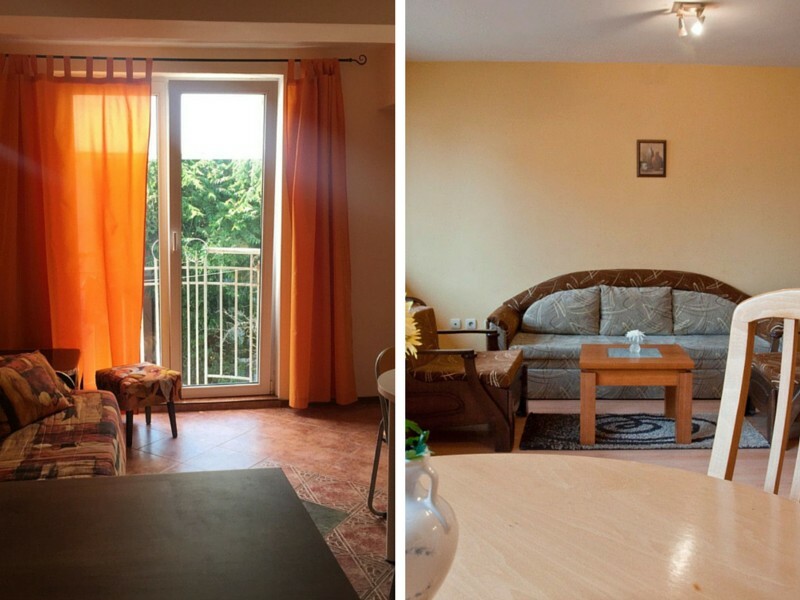 One of the these places seems to be the field of apartment rentals in Varna. The majority of apartments you will find on Airbnb.com are surprisingly unappealing and by far no bargains. Prices start at 25€ per night and go up to 90€ although luxurious apartments are rare. On average the price for an apartment located close to the seaside is at around 35€ per night. My advice to you is to either to set your dates around the availability of one of the 25€ apartments on Airbnb as they are not only the cheapest but often also the most lively ones. 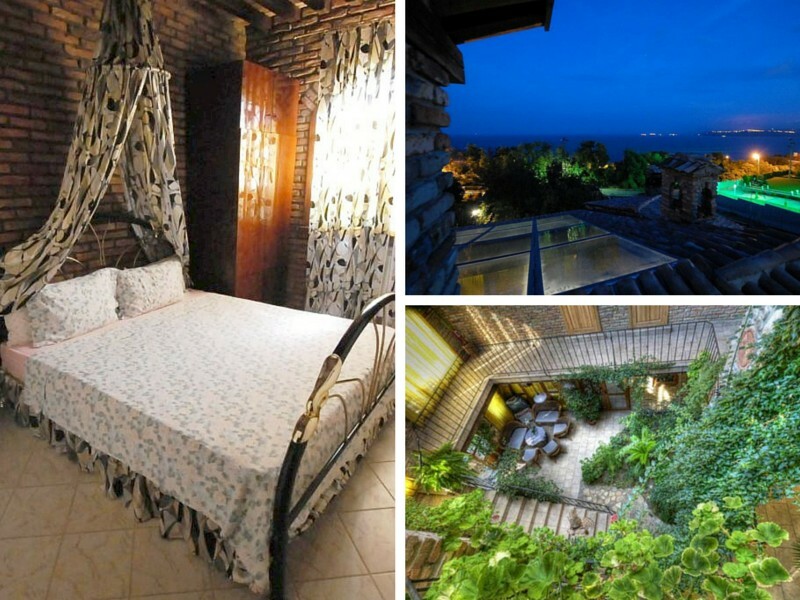 Or you go above the price average and book an offer like the Villa Rustica that costs 39€ per night and that has quite a charming touch to it. The courtyard of the Villa Rustica almost reminds one of Budapest. Varna is all about beaches. And one of them is right by the city center. 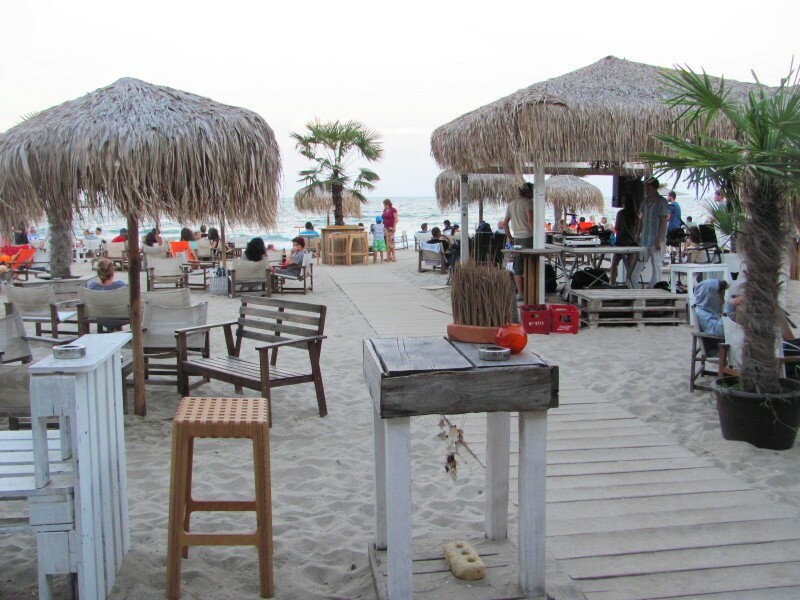 The city beach has by far the best selection of eating and drinking establishments, beach bars and beach sports activities. It is also well popular with the locals which always is a good sign. BUT: the city beach is by far not the best beach Varna has to offer. Walk a few hundred meters north of the city beach along ‘First Alley’ and within 10-15 minutes you will come across smaller and better beaches in terms of the quality of water and sand. Needless to say that these beaches are also less crowded than the city beach. The further out you walk north from the city beach the quieter it gets so you can take the choice you like. I suggest you check out Hawaii Bar on your walk North as it is a nice diner and inexpensive diner. 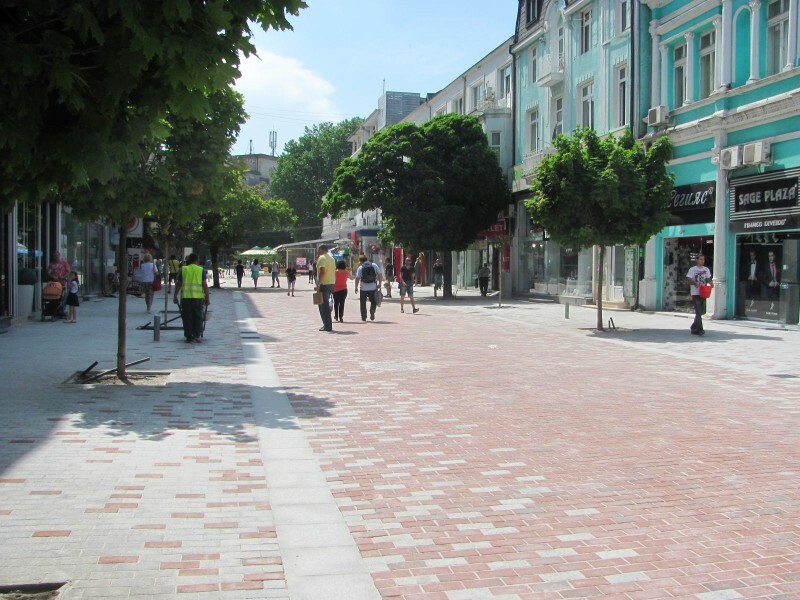 Varna’s main avenue First Alley is really the place to be for day and night entertainment. With the beaches and the sea on one side of it as well as dozens of restaurants, bars and clubs on the other side you can really spend all day and night in this area alone. In the hot summer months the beaches take center stage in the day time, but in the evening the restaurants start to fill up from about 18.00. 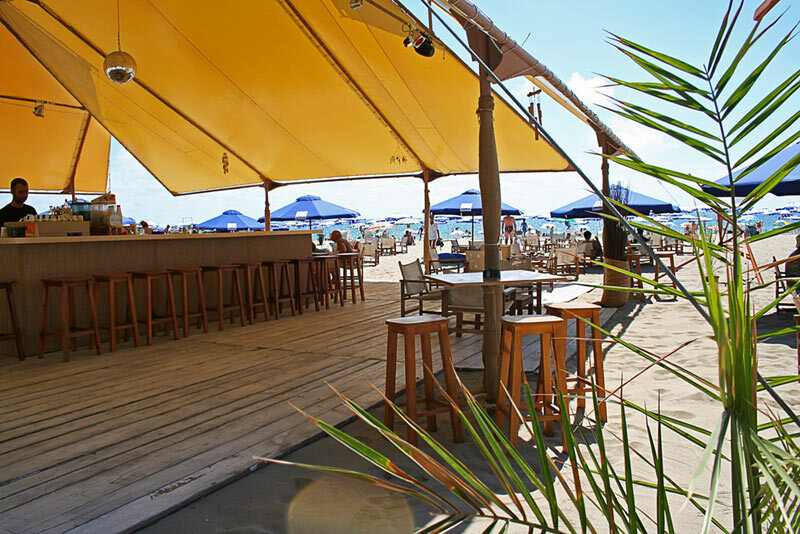 If you like to get a place in the beachside restaurants then it is best to get there early as it can be a struggle to find places in the peak periods. To try some of the local meat-laden dished the Алба (Alba) grill restaurant as well as the franchise of the Happy-restaurant franchises are a good choice. Many of the restaurantski have live entertainment so the mixture of food, drink, music, lots of people, bright lights and the sea make for a great atmosphere. But as the night goes on, sometimes as early as 23.00, things start to quieten down in the restaurants. Stroll down First avenue and you can casually make a right and turn into Cubo Bar which, like so many others, is a cool cocktail bar conveniently located right by the beach. If you want more entertainment the nightclubs and beachside bars of which there are a good selection will take you well into the early hours. Because of the heat you are almost better off ditching sweaty nightclubs alltogether. Instead go on a bar hopping street along First Alley! 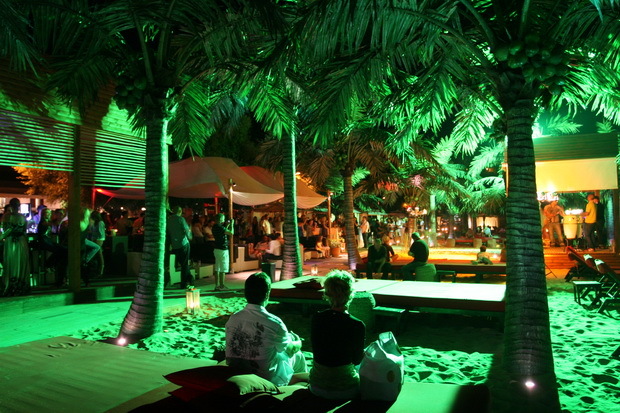 Start off at Cuba Bar, head over to Rappongi Beach later and then see where the rest of the night takes you. Away from the beaches but adjacent to them is the magnificent Sea Garden (Bulgarian: Морска градина, Morska gradina). Overlooking the sea and stretching for 4-5 kilometres Sea Garden is a great place to spend the day if you don’t fancy the beach. As you can tell day and evening can easily be spent here and the beauty is that the beach and the sea garden run side by side so that you can interchange as and when you want. Foodwise the whole area around First alley has a great choice of street food, tasty and inexpensive, from all day bakeries where you can buy loads of stuff early in the morning that will keep you full until the evening. Furthermore there is pizza, Chinese and Turkish food, the local meatballs and kebabs, and a couple of neat pick and mix eateries. Beer is cold and tasty, the local brews are good enough and you can buy even cheaper straight out of the fridge in all food shops. One day time activity that really sticks out is recently opened Varna Retro Museum (Ретро Музей). Finally – just to say if you want a quieter time, a good quality beach and don’t mind stepping a bit into the realm of mass tourism – take a 20 minute bus ride outside Varna to the North. Here you will find the resort of St Konstantin where tourists head for a holiday. The beach and sea are a lot better here and you can laze away your day swimming and on the sunbed. You will pay for the extra quality though as Varna is classed as a working town. This means the price of food and drink and dining out is half of what you will pay in a proper resort like St Konstantin. At St Konstantin the Grand Hotel Varna there is a perfect place to stay. 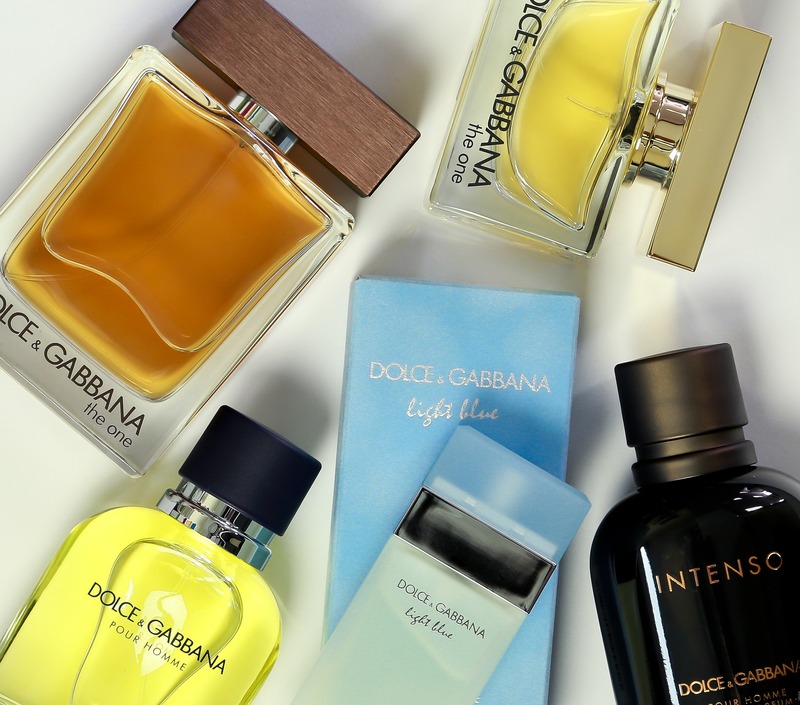 It has various offers throughout the summer on its website. As a hotel it comes with great facilities like an indoor pool, several outdoor poools including an infinity pool spa and sauna as well as the usual outdoor pool and a garden and leisure area. What Does All This Look Like in Real Life?